Quad-Citians are still in ice cream mode (a la mode?). During this September heatwave, crowds were nearly out the door this week at Whitey’s Ice Cream Parlor. 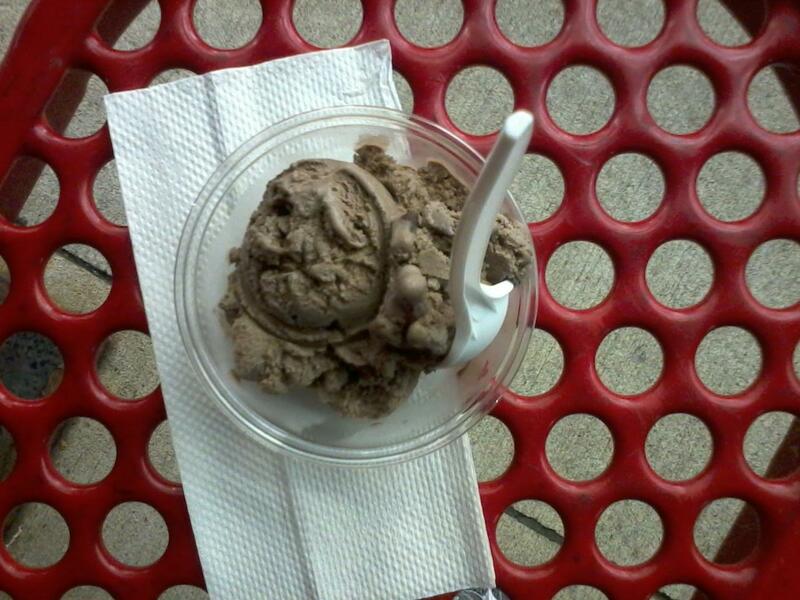 I queued up for their summer flavor, “No’tella,” no doubt named after Nutella. With creamy chocolate ice cream melting in my mouth, and generous chunks of hazelnuts and chocolate chips for counterpoint, it did not disappoint. 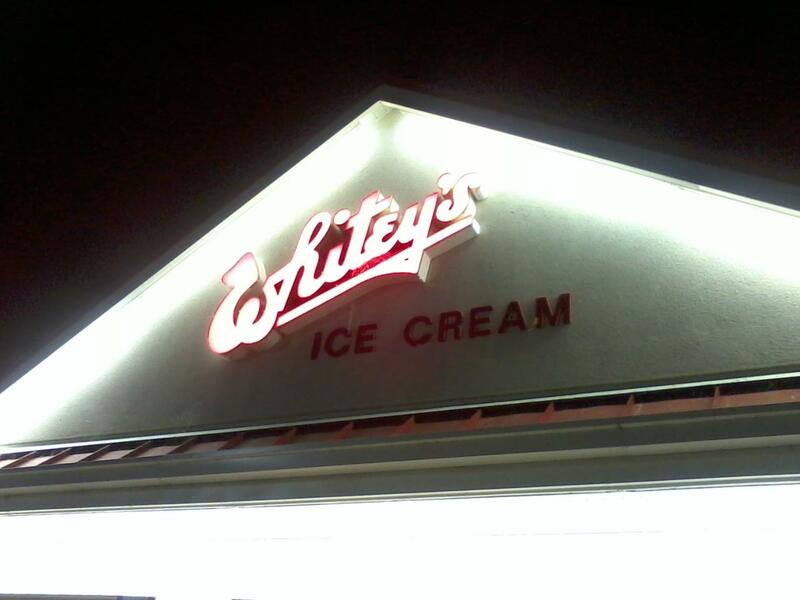 Whitey’s is billed as “Best in the Midwest.” This is debatable with Country Style Ice Cream fans. Country Style has a lot fewer flavors, but really does have the same flavor I remember growing up, when we made homemade ice cream. Folks generally line up on either side of the ice cream divide. Asking someone, “Whitey’s or Country Style?,” is like asking “Cubs or White Sox?,” in Chicago. I readily answer “Cubs,” but am not so clear-cut about my ice cream parlor preference. Meanwhile, on the West Coast, my friend in San Francisco was lining up at Bi-Rite Creamery. I would love to try their palate-bending ice cream flavors: honey lavender, basil, or roasted banana, to name a few. Until I get to back to San Francisco, I am happy to satisfy my occasional ice cream cravings at the local ice cream parlors. What is your favorite ice cream venue? I am drooling thinking about a Butterscotch, Butterfinger malt from Whitey’s!! I’ve eaten ice cream all over the world and nothing comes close!! Mary, @ Whitey’s, they still crush the candy bars in fresh, as you watch them make the malts.